Waterloo, Ont. company Athena Software announces rollout of new Collaboration Suite for users of its Penelope case management software application. Once again, Athena is setting the standard for global case management software. For human services organizations using Athena Software's Penelope case management application, internal collaboration just got a little bit simpler. The Waterloo, Ont. company's new Collaboration Suite feature-set is designed to provide better client outcomes, more efficient service delivery and a more streamlined experience for users of its Penelope software. Officially released in January 2014, the Collaboration Suite's powerful new tools will allow Penelope's estimated 10,000-plus users worldwide to integrate service delivery with the smart communication and workflow tools they need to provide efficient service and stay connected to clients and to each other. The Collaboration Suite places each Penelope user at the command of their own role-specific communications centre. Its sleek design is highlighted by an always-available, one-click layer that can be opened or closed across any Penelope screen and which provides simple, on-demand access to each user's messages, tasks, reminders and calendar. Athena's clients are already embracing the new features. "Athena Software is a world leader in case management software," said Adam Fletcher, software manager at Relate, the largest provider of relationship support in the United Kingdom. "Athena's new Collaboration Suite enables agencies around the world to connect with clients using smart communication and workflow tools in a way that reflects how our clients live and work. Once again, Athena is setting the standard for global case management software." The communications and workflow tools included in the Collaboration Suite allow for secure, efficient and user-friendly communication between an organization's staff members within Penelope, while also providing increased accountability for task completion - for example, managers can view the status of tasks assigned to their staff and comment on each as necessary. Client signatures can also now be captured electronically and attached to documentation within Penelope, with an option to push a link to a person's smartphone or tablet for them to sign using a stylus or even their finger. This use of smart technology has the potential to generate huge savings in time and paper for organizations using Penelope. "We wanted to create an innovative new 'worker-centric' framework that would 'push' critical information in real time to the staff involved so that they could process and act upon complex streams of information across their program areas, staff and clients in a meaningful, efficient, organized and timely manner," said Athena Software partner Greg Stanley-Horn. "The Collaboration Suite not only creates new opportunities for collaboration, decision support and quality assurance, but it also is an important platform that sets the stage for direct engagement with clients, their families and involved third-party providers via our upcoming client portal. We're excited about these revolutionary enhancements to Penelope and the dramatic impact it will have for our clients," said Stanley-Horn. The Collaboration Suite is now available for all Penelope users. Athena Software (http://www.athenasoftware.net) is a global case management solution provider based in Waterloo, Ont., Canada. 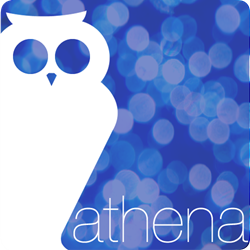 Over the past 12 years, Athena Software has grown to partner with hundreds of organizations across the globe, with over 10,000 end users of its Penelope case management solution.